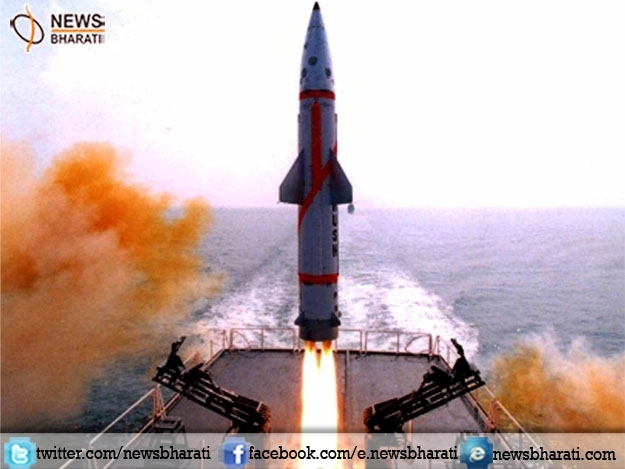 Bhubaneswar, February 24: With a complete success India successfully test fired nuclear capable ballistic missile ‘Dhanush’ on Friday from naval ship off Odisha coast. Dhanush is a surface-to-surface missile that can hit both land and sea-based targets. The missile test was carried out by the Strategic Forces Command, the tri-services military command that controls all of India's nuclear weapons and their associated delivery systems. The Dhanush missile is also known as the Prithvi-III, and is a short-range ballistic missile capable of carrying nuclear warheads. Dhanush is the naval variant of the surface-to-surface Prithvi missile platform. It can be used for both ship-to-ship and ship-to-surface strikes. The missile has a declared strike range of 350 km, and is capable of carrying a warhead up to 500 kg in weight. The missile may also be fitted with conventional warheads. Officials said that the test of the Dhanush was a "complete success" and that all the mission objectives had been achieved. All flight parameters were monitored and verified by the telemetry and radar facilities of the Defence Research and Development Organisation (DRDO), which developed the Dhanush missile. The Dhanush missile made its first test flight in 2000, with the first fully operational test conducted in 2004. It has been test-fired a total of seven times so far. The last time the Dhanush was test fired was in November 2015.